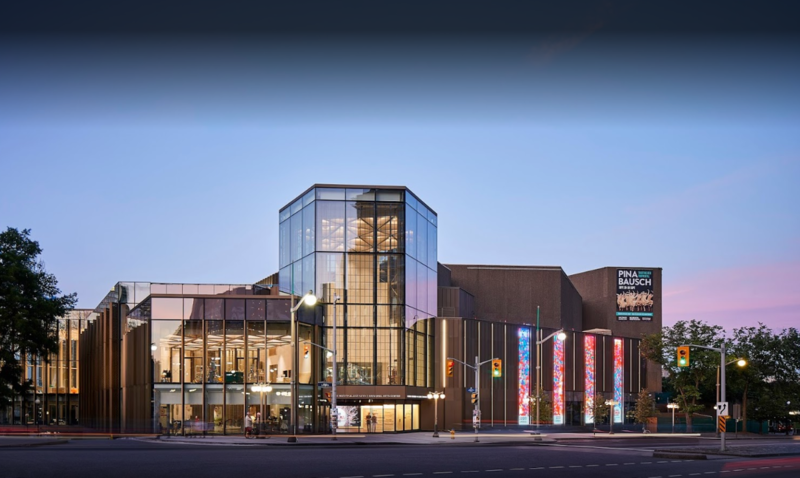 The NAC is strongly committed to being a leader and innovator in each of the performing arts fields in which it works – classical music, English theatre, French theatre, dance, variety, and community programming. It is at the forefront of youth and educational activities, supporting programmes for young and emerging artists and programmes for young audiences, and producing resources and study materials for teachers. On foot, using a wheelchair, with a stroller or via public transit use the entrance on Elgin street. If you have mobility issues, we strongly encourage you to come to the NAC by car. You can enter the garage via Elgin/Slater and reserved accessible parking is available at the P3 levelon a first-come-first-served basis. at the NAC Stage door, Monday to Friday from 8 am to 4pm. 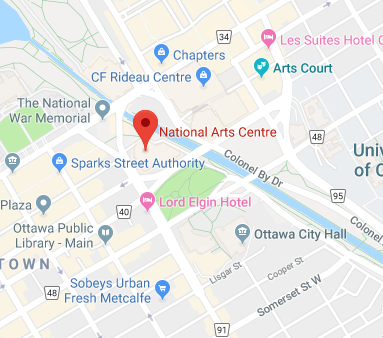 The NAC Stage door is accessible via Queen Elizabeth Driveway. at Freiman Lane, Monday to Friday after 4pm and on the weekends. Special tickets are available for patrons in wheelchairs, as well as for the visually impaired. For availability, please contact the NAC Box Office at (613) 947-7000 ext. 620. Seating for patrons in wheelchairs may also by purchased online. Should you require special assistance from the ushers on the night of the show, please advise House Management at (613) 947-7000, ext. 222. The NAC has a Phonic Ear Wireless FM Sound System for patrons with impaired hearing. FM (Frequency Modulation) receivers and several accessories such as a headset for use without a hearing aid, a teleloop and a Cochlea Implant Patch Cord are available, free of charge from the Communication Centre, located near the Theatre Checkroom. Patrons are required to leave a piece of identification.